Q. – Why haven’t I heard of this before? A. – You may have! Due to various organizing bodies calling this form of motorsport by different names, it is also commonly known as Solo 1 or Time Attack Racing. In Canada, the correct term is Solo Sprint. Q. — What is a Solo Sprint? A. 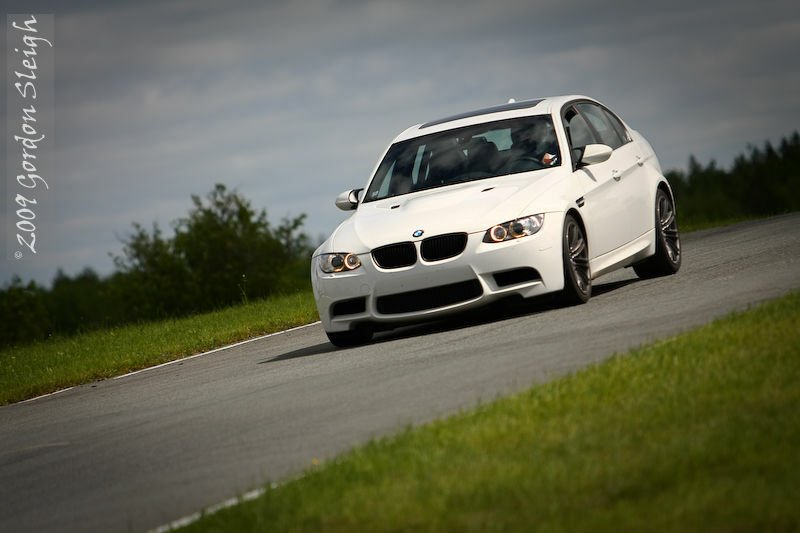 — A Solo Sprint session is a timed contest conducted at Atlantic Motorsport Park which allows anyone with an approved vehicle to experience the thrills of competing on Atlantic Canada’s premier road course, without the hazards of wheel to wheel racing. Although multiple cars may be on the track at once this is NOT a racing event. Cars are spaced out so that they may not even see each other. It’s just you, your car and the racetrack. Put down your best time and see how you compare against other competitors. Q. – So I can just show up and go? A. – No, all drivers must be members of an ARMS-recognized club and complete an approved ARMS-recognized driving school in order to participate. See the Event Calendar for the next available school. BMW Club of Canada schools are also recognized (see the Rules and Regulations below for a complete list). This will enable you to apply for a Solo Sprint card, which you must present to the event registrar in order to be able to compete. .
Q. — How much does it cost? A. – Generally Solo Sprint events cost $75 to enter. See the supplemental regulations posted on the Event Calendar for details. There may also be a $10 gate fee to enter AMP that goes towards track maintenance and upgrades. Q. — What equipment do I need? A. – As a minimum you must have a car in good repair, no motorcycles, quadrunners, etc. If you are competing in a normal street car, you must wear a Snell approved M/SA2000 or better helmet, have a minimum of a 2.5lb BC fire extinguisher mounted securely inside, and your stock 3-point seat belts must work properly. For highly modified or true racecars, more stringent rules apply. Q. – I’m going to use my daily car, is there anything I should check on it? A. – Your suspension must be in good condition with no worn ball joints or bushings. Your brake pedal must be firm with no give when pressed. Your tires must not be showing any cords and should be inflated to a pressure slightly higher than street for road tires, some as high as 40psi. Your interior shall be free of loose objects that may move during hard driving. Q. – Are passengers allowed? Q. — I drive a convertible, can I bring it out? A. – Due to insurance regulations open-topped cars require roll-over protection in order to participate. Generally the factory roll-over protection provided on most convertibles is insufficient for this purpose. If you have any questions as to the suitability of your vehicle please contact the event organizer in advance. Miatas and some BMWs can find ‘SCCA-Legal’ rollover protection available from Hard Dog fabrication. Q. – Is that everything? A. – No, that’s just the basics. To see the entire ARMS rulebook which ASCC events are conducted under see the documents and rules section of the ARMS website.